It’s your customer’s Happy Ever After story (that’s the Happy Ever After that you helped them achieve of course!). Championing the people or businesses that have bought your product or service is a win-win for everyone. And highlighting the success they have achieved (as a result of buying your product or service) is a super-effective way of showing your target market what outcome they can expect to get when they work with you. Hubspot do this really well with their Case Studies Directory. Simply ask your clients what great result they’ve had, what outcome they’ve achieved and what difference your product or service has made to them. Then tell that story – loud and proud. Because that’s definitely a story worth telling. 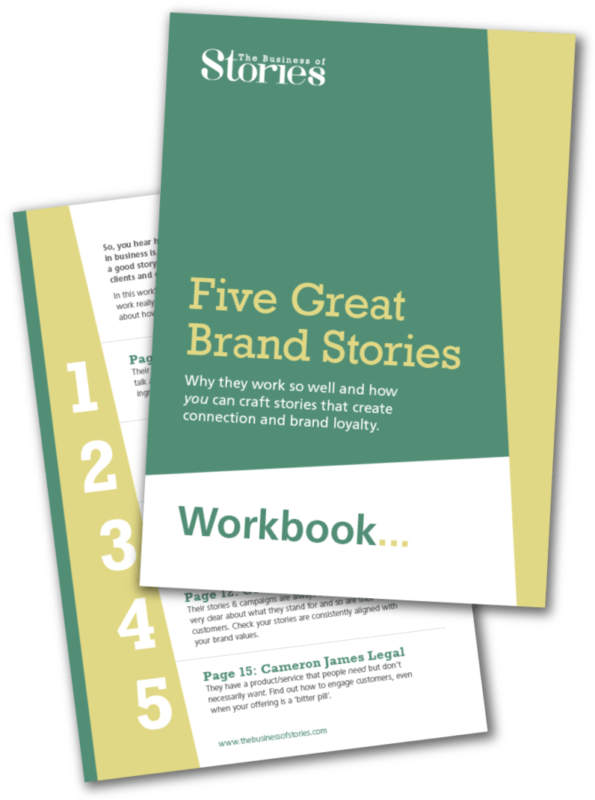 Want to discover how to tell a great story, that really connects with your dream client? Book yourself onto my next one-hour online training on the seven steps to crafting a killer brand story for your business here.